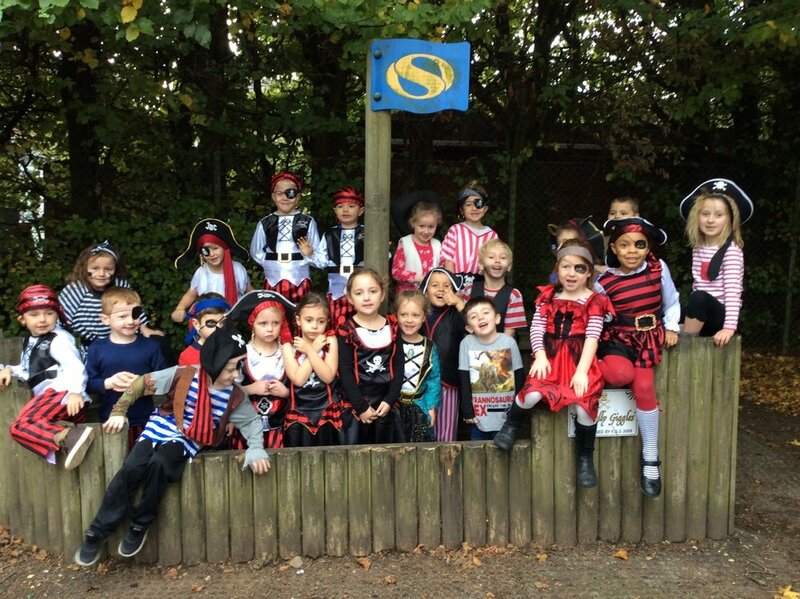 On 23rd October KS1 celebrated the end of their pirate topic by coming into school dressed up as pirates. During they day they made hard tack, which are salty pirate biscuits (design and technology); drew old pirate maps with treasure and map symbols (geography) and created their own pirate (art and design). At the start and end of the day they sang pirate songs (music) and retold the story they had learnt, ‘The greedy pirate's treasure' (English).